If the purchase involves the construction of a new building, or a type of property that is not frequently sold and is not an income-producing property (for example schools, hospitals, and government buildings), the cost approach would be most useful in determining insurable value. This method estimates the replacement value of a property by analyzing the cost of its components (e.g. buildings and land), taking into consideration depreciation. 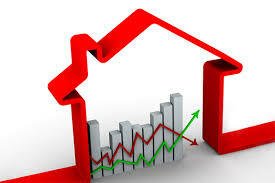 The estimates are added together to calculate the value for the entire improved property. If you are interested in buying a commercial income-producing property for investment purposes, we will conduct professional valuation via the income method, which capitalizes an income stream into a value indication, and is based on the relationship between the rate of return an investor requires and the net income that a property produces. For buyers interested in purchasing residential property, it would be more applicable to conduct a price comparison approach, whereby a value for the property would be obtained by researching the market and comparing the property with recently sold properties with similar characteristics, and adjust as appropriate.